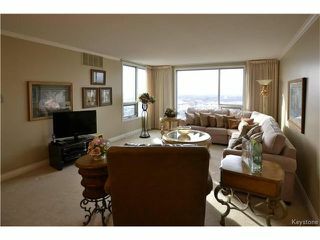 Welcome to your new home in the sky! 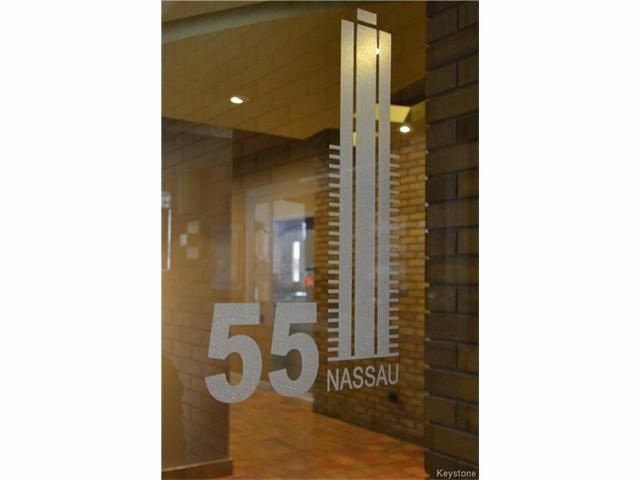 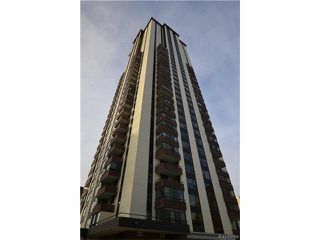 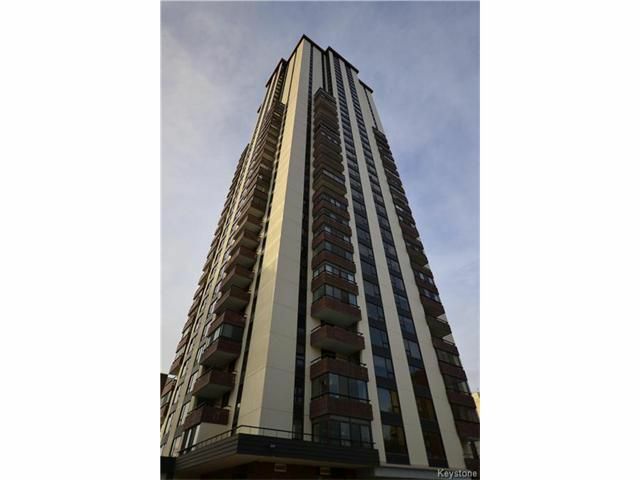 Located in the heart of trendy Osborne Village at the iconic 55 Nassau. 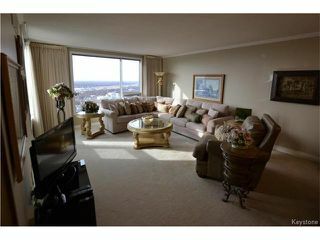 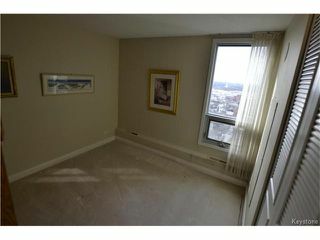 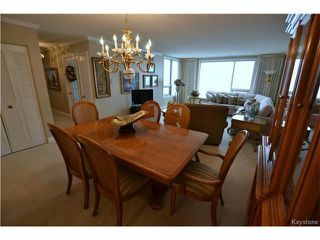 This corner unit is located 35 floors up and has unparalleled panoramic views of the city! 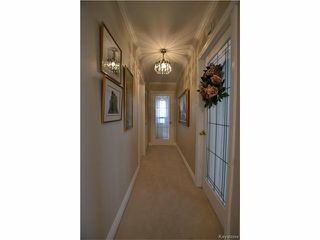 Warm & inviting, offering 1010 square feet with an open concept Living Room and Dining Room, plush carpeting & crown moulding. 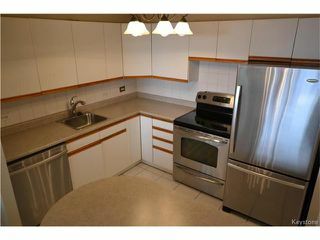 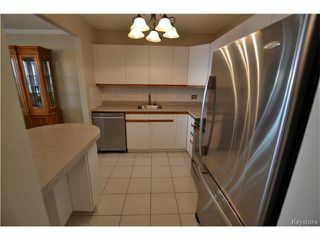 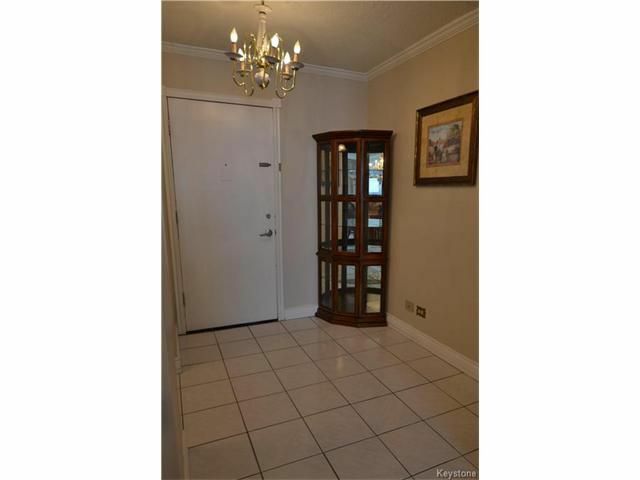 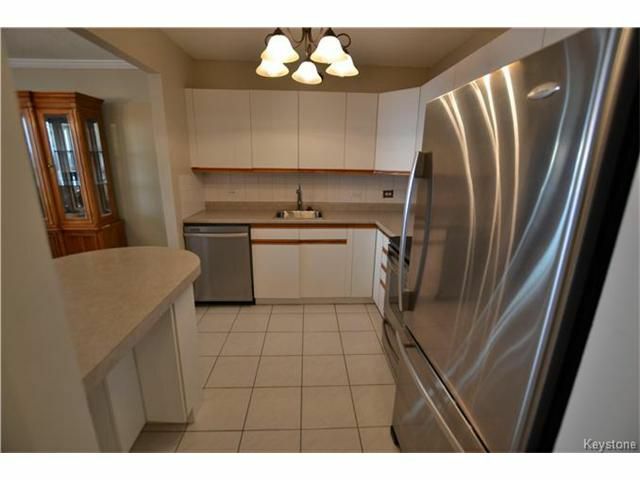 Kitchen has stainless steel appliances, large foyer w/ceramic tile flooring. 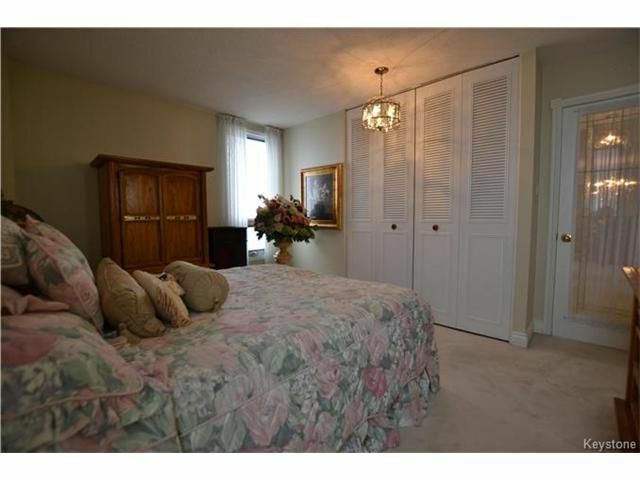 Large Master Bedroom w/windows on 2 sides & spacious closet. 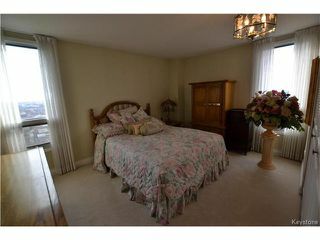 Good sized 2nd Bedroom as well. 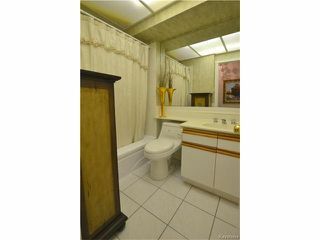 4 piece Bathroom w/tile flooring, storage room with a freezer included. The building has concrete floors, large hallways, 3 quick elevators & shared laundry on each level. 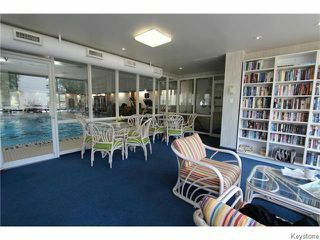 24 hour security, library, indoor pool complete with exercise equipment, sauna, huge outdoor patio area with seating and BBQ's! 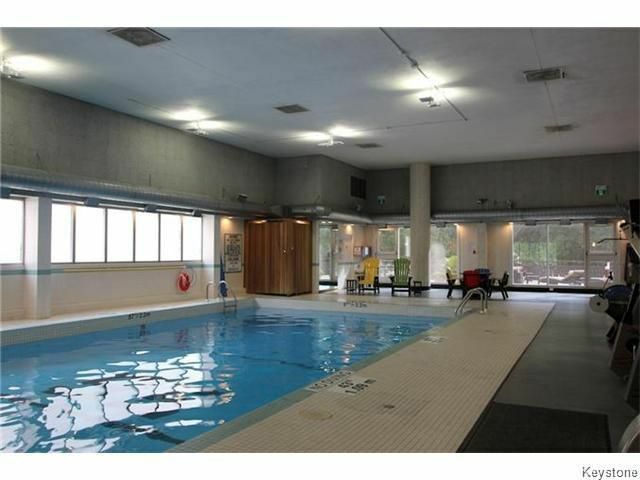 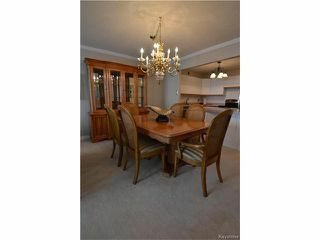 The condo fee covers all utilities, and one Heated Underground Parking stall. 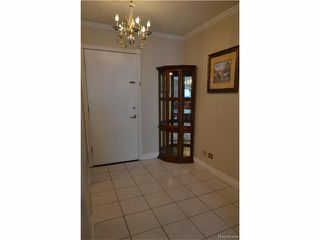 Great location within walking distance to restaurants, grocery store & shops. 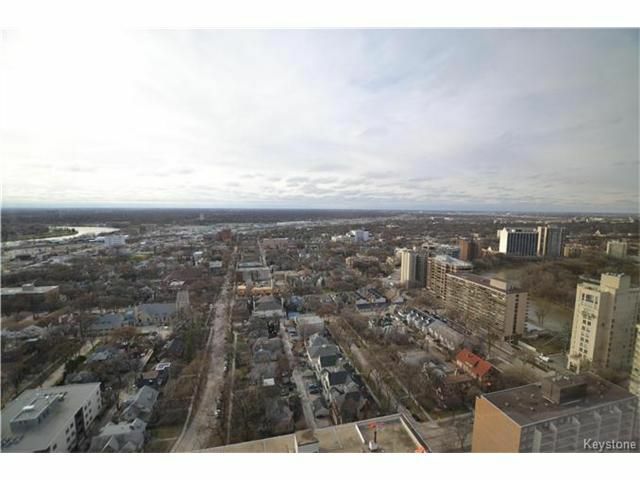 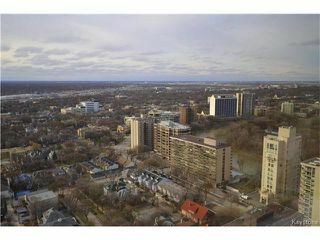 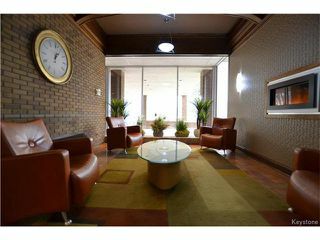 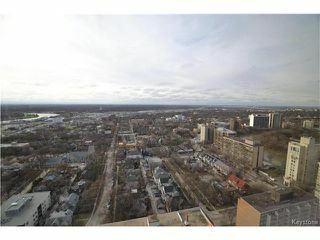 Come and discover Winnipeg's original living in the sky condo!